The problem stemmed from Curiosity’s cameras and how they stored their image data. A software mismatch occurred when Curiosity attempted to save images to its main computer, throwing the rover into safe mode. In safe mode, the rover shuts down everything but its most essential functions. Curiosity fell into safe mode on July 2, and while it quickly got back in touch with Earth, it wasn’t until last night that the rover finally regained its full functionality. Earlier this month, NASA approved a 2-year extension on the rover’s original mission that would have the rover operating straight through 2018 at least. 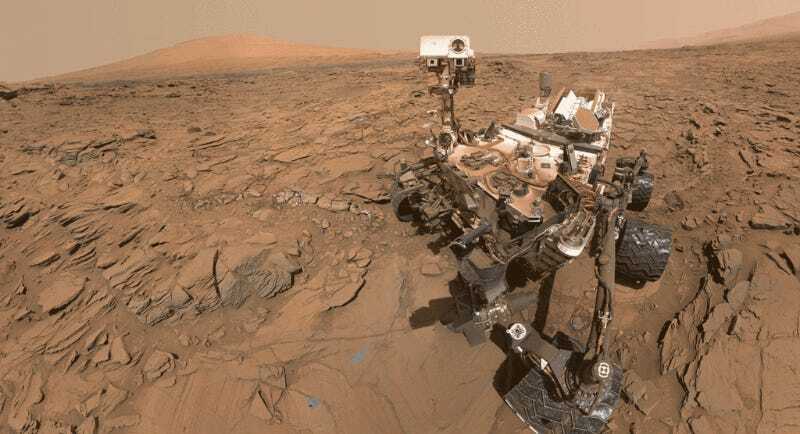 Curiosity has been a remarkably tough little robot—especially considering that it’s already gone a full five years without a tune-up, all while rolling over some harsh terrain. In that span, it’s undergone a broken arm, got stuck on a hill, punched a hole almost straight through its wheels, and lost the ability to focus in one of its cameras. Each time, NASA has managed to get around the problem without being able to actually physically fix the problem. Hopefully, they can keep patching Curiosity up from afar through its new, longer mission.